There’s something very special about a week long blast of all kinds of color! And that’s what happens at the Annual Dyeing Days. Its a lotta work, acting like an old time washerwoman hauling buckets of water and rinsing, rinsing, rinsing…..but that comes after all the tie-ing and dyeing that comes first! With over 40 bottles of colorful Procion MX series fiber reactive dyes, we go WAY past red, yellow and blue! There are swirls, stripes, bullseyes, and lots of other ways to fold. Here’s a spiral. We just love that chartreuse green, and it goes well with the oxblood red, raspberry, golden yellow and all the other colors too, for that matter. 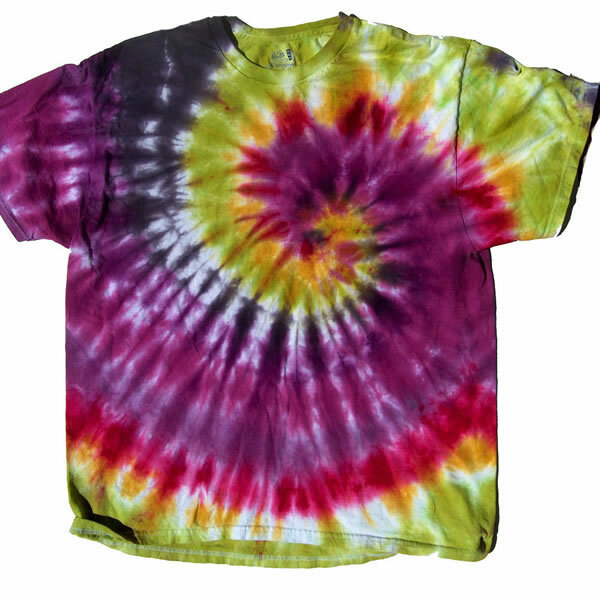 Take a look at all the shirts that got dyed this year and also a slide show of dyed fabrics from previous years here. I’ve talked before about my dear friend, known these days as Madame Bette, and her sisters (BonBon) Bertie and BonnieBelle. They run a Boarding House for Ladies, all of whom are, and have been, performers and entertainers in more than a few ways in their times. They add to their community in many ways, by fixing up the old house where they now live, and contributing to education and charitable concerns. They also hold great parties! Lots of great parties. As you might imagine, Valentine’s Day is such a hit with these softhearted, romance minded mammas that they celebrate it all month long. They celebrate every holiday they want to without regard to whether it started out as theirs or not. Boy, do they do up the birthdays! 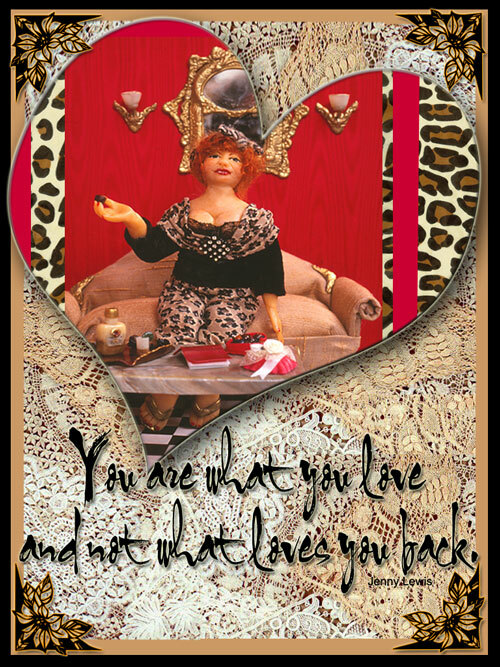 You can visit Chez Madame’s and read more about them and their stories, and see lots of pictures of Madame’s House and the Shady Lady dolls. They do tend to wear lingerie, and they sometimes show a lot of cleavage and the occasional bare-bubbies, so don’t go looking if you’re going to be shocked, unless of course you want to be. Bob Grieser photographed them in 1992 and such is the beauty of plaesthetics that they don’t look any older now. And no surgery or weird pharmaceuticals required–just like yer old Aunt Acid, who will remain lovely with only good hygiene and a little paint required. Plus a great wardrobe! No, I don’t mean the decor. I’m talking about that feeling you can get at three AM (or anytime at all) when you are ensconced on the porcelain throne and there’s no toilet paper anywhere in sight. Its been years since I’ve had to look around for pages from the Sears catalog; I’ve gotten very fond of two ply tissue instead. So when the roomies use it up and forget about replacements, its a damp and dreary feeling. But never fear! There’s a cure–it starts with a little knowledge and continues with a little bit of thought. 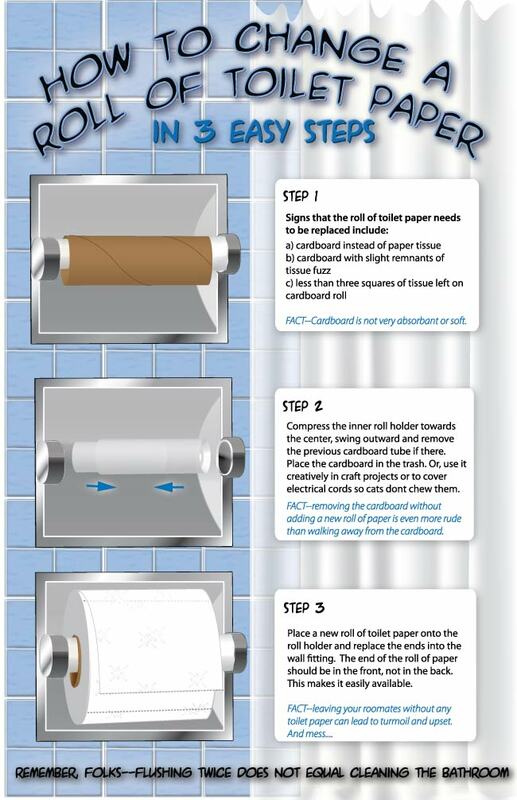 In the interest of bathroom humor and etiquette for all, here’s a look at the poster I had made up (using Adobe Illustrator and its awesome 3D modeling tool) for the folks here at my place. Those rumors about yer old Aunt Acid running away to join the circus just aren’t true. Its been a while since I posted last but it is in pursuit of showbiz dreams that don’t involve near as much sawdust, though there are sequins aplenty. 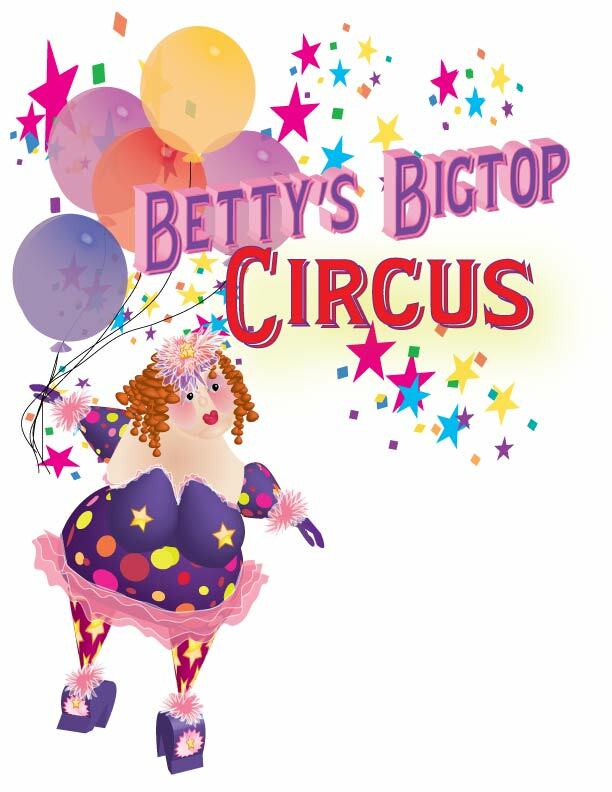 If I WERE going to spend a season or two, it would be as one of the acts with Betty’s Big Top Circus. They don’t hardly make ’em any bigger and bolder than Betty. And those Italian aerialists brothers and cousins with her sure can move around fast and smoothly, on or off the wire. Here’s a peek at the logo, rendered using Adobe Illustrator. Some things simply don’t come canned and condensed, and Aunt Acid’s one of them–so’s her 3 Mother’s chicken soup, made using a blend of recipes from Chinese, Jewish and Hippy Earth Mothers. But it DOES make for a nice graphic and this one was for my 3d assignment in Adobe PhotoshopII. The real thing is well worth making–freeze some and have it handy when somebody has a cold–this one burns out all the germs and even cuts through the dreaded rubber-cement mucus. With peppers, onions, garlic, mustard, horseradish, ginger, lemon and more in this delicious soup, you’ll find you can breath again. Its practically an Auntie-biotic! How about a hand for Aunt Acid? And a foot too…thats what talented polymer clay artist Chris Rutter sent as a lovely gifty to ME! She’s sent along a gorgeous set of single extremities, trimmed in gold cord and black maribou feathers, all set onto a gold and black covered 6″x6″ ceramic tile. While the toes sport a lovely fire red nailpolish, (made using acrylic paint and varathane as people-type polish doestnt do well on polymer clay in the long run) the nails on the hand are left unpainted, the better to show of this translucent pc manicure. Now if I ever need a hand, I’ve got an extra. Thanks bunches, Chris!! Someone’s In The Kitchen With Aunty…. 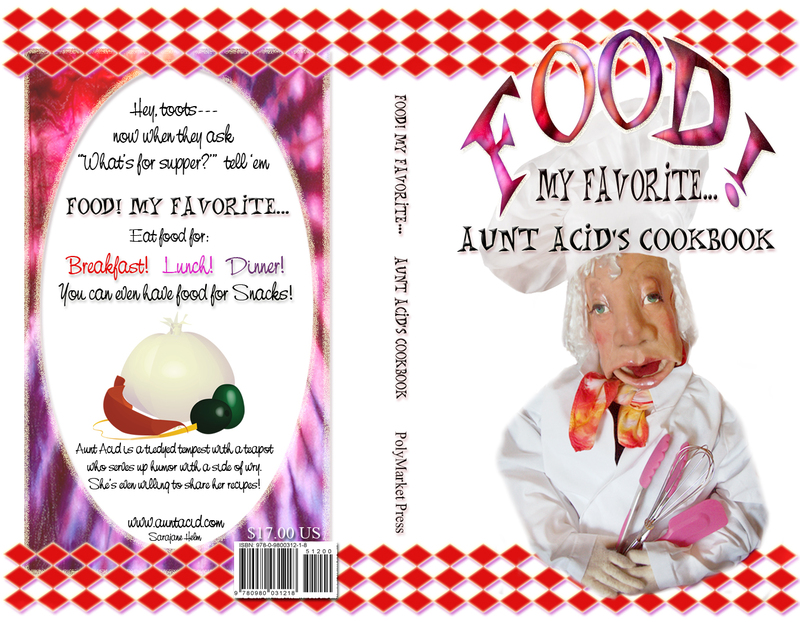 What’s cooking with Aunt Acid! I’m serving up a look at another assignment in my Photoshop II class. This one was to design a book cover using the various masks and modes that we’ve been studying. I also used three photos (good thing I’m also taking a digital photography class) and a food image that I created in Illustrator last semester–I LOVE Adobe Illustrator and Photoshop! (and I love using my homework more than once….thats Creative Leftovers which can be lovely reheated or served cold! So here’s a look at what’s been cooking here at my house. 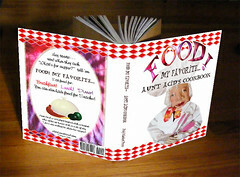 Someday I’ll put the insides of this book together—I’m saving up some great recipes. But only the cover was this week’s project!